Click here to view this article for The Guardian online. Did you know that Jennifer Lawrence earns less than Matt Damon? 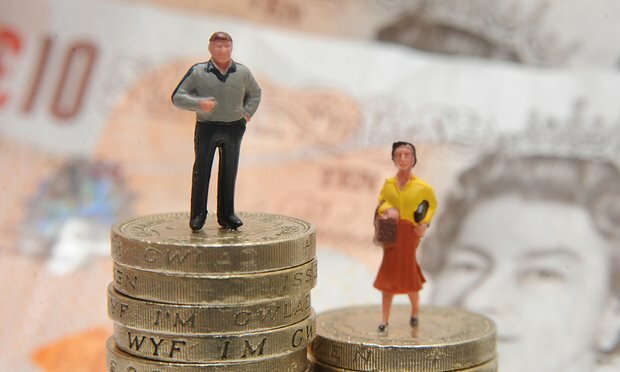 Or that for every pound a man earns a women will earn only 80 pence?” In my ongoing research with 14-21 year olds – a generation I call Generation K – I am repeatedly reminded of how aware even the youngest are of the gender pay gap. And of how profoundly unjust they feel it to be. So I was very interested in the Resolution Foundation’s research published this week that revealed that a woman aged between 17-36 will now earn only 5% less than a man of similar age through her 20s. The news was reported as something of a Hallelujah moment. I’m more sceptical. Yes, it is better than it was. Women of my generation earned 9% less when we were a similar age; my mother’s generation, 16% less. But the stark reality is that right from the get-go women still earn less than men. This is partly about career choice. Society undervalues those who care and more women than men choose teaching over engineering, nursing over becoming an airline pilot. But there is more at play. Even when one compares male and female graduates who go into the same job upon graduation, a gap exists. Women graduating with a degree in engineering will earn £1,500 less than men in their first job. Outside of science and technology the gap remains pronounced. A woman with a degree in modern languages, classics or philosophy will earn on average £2,000 less than her male counterpart. Throw babies into the mix and for mothers (but not fathers) it is pay Armageddon. The gender pay gap explodes during one’s 30s and 40s. For my generation, it tripled by the time we reached 40. As the Institute for Fiscal Studies discovered last year, there are penalties to be paid both for taking time off work and for working part-time. For mothers, this is a penalty that persists even if they subsequently return to full-time employment. So what is to be done to close the gender pay gap? Should women just stop having babies? It is something an increasing number of Generation K females are contemplating. My research has found that 35% of 14-21 year old women are either unsure if they want to have children or definitely do not – seismic difference compared even to millennials. While 90% of Generation K girls think success in a high-paying career or profession is important many simply do not believe that this is attainable with a child in tow. Looking purely through an economics lens (and without going into the other pros and cons of having children), a child-free existence only provides a partial solution. This is because women without children also earn less than men throughout their careers, albeit to a lesser extent. So is this about women making different career choices? Potentially. More male than female students still choose to study subjects such as computing and physics at A level and the financial return on Stem (science, technology, engineering and maths) subjects is significant – Stem graduates can earn nearly more than 20% more than their peers. Alternatively we could start a proper conversation about why it is that we so undervalue those who choose to care as a career – and what role the state should play in mitigating this market failure. This question becomes even more pertinent now that we are entering a period of economic downturn. Typically at such times those who earn less are penalised more. There is clearly also a role for the state to play in making it easier for mothers to re-enter full time work faster. Iceland, which instituted the most generous paternity pay in the world in 2000, has seen this strategy deliver, and 90% of fathers now leave the labour market for at least three months. As a result, their partners return to full-time work faster. Highly subsidised infant care and kindergarten care is another state intervention that makes a difference. Men can play their part, too. Celebrate your partner if she earns more than you. Do your fair share of the housework – women still do 40% more than men. And push your employer to be transparent about pay and to address differentials where they exist. Finally, there is undoubtedly a role for women themselves. I am frequently struck by how many smart, successful women I speak to have never initiated a pay-rise conversation at work. Most of my male friends have. If you do not ask, you will never get.